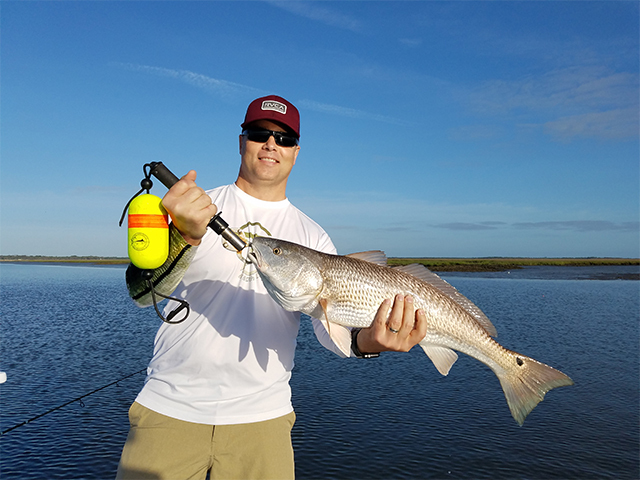 Inshore and Backwater Fishing Amelia Island for Redfish, Monster Shark, Tarpon, Flounder and More! How Much Fun Can You Have Inshore Charter Fishing Amelia Island? A lot! 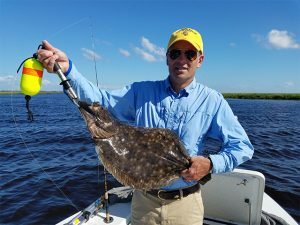 The Fernandina Beach, Amelia Island and Jacksonville areas offer a wide variety of fish in deep and shallow water, rock piles, nearshore rocks, various sandbars and grass flats. Many locations are near shore allowing us to maximize your fishing time. We know what fish are biting the best for the time and day and the different seasons throughout the year. 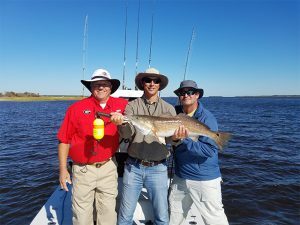 So invite your friends, co-workers and family members for a fishing adventure of a lifetime as you enjoy the backwater beauty of Amelia Island and Fernandina Beach! Book your fun trip today! 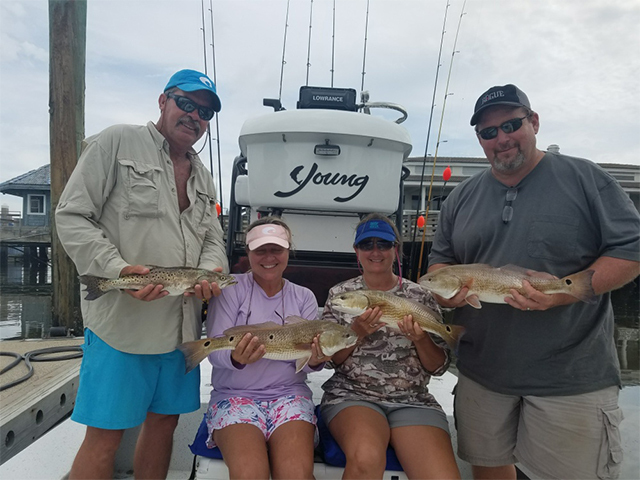 Our backwater and inshore charter fishing Amelia Island trips consist of fishing in the river, creeks, and flats surrounding the Fernandina Beach and Amelia Island area. Most of the time the water is calm and land is always in sight. 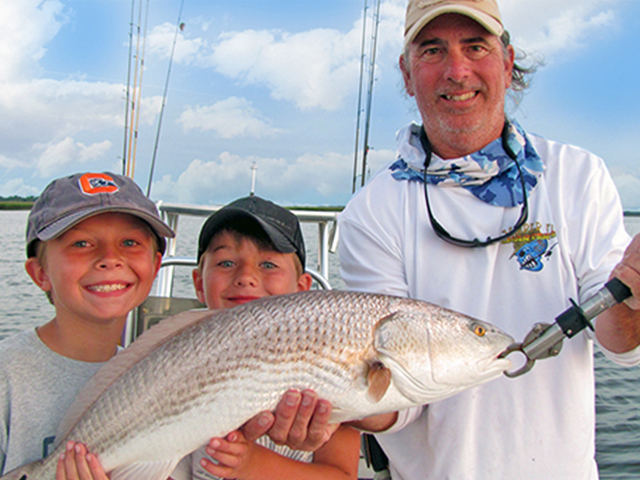 We target Redfish, Flounder, Speckled Trout, Sheepshead, Sharks and a lot more. We use spinning tackle and a variety of bait such as live shrimp, mud minnows and finger mullet. This is the most common excursion. These trips are available in ½ day, ¾ day, and full day trips. 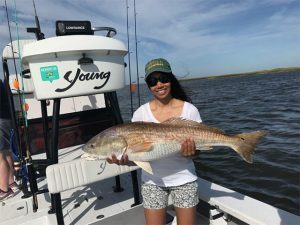 These inshore charter fishing Amelia Island trips consist of fishing the jetties, sound and the deeper waters on the intercoastal. 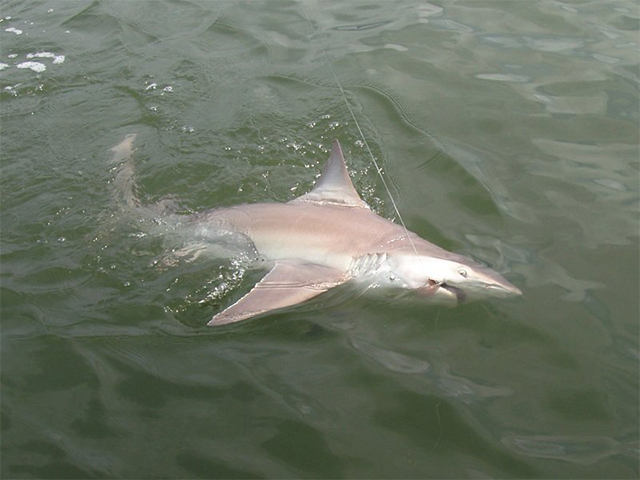 We target a wide variety of sharks such as Bull, Blacktip, Bonnethead and Lemon sharks and more. The Bull Redfish are big and can weigh 20lbs to 60lbs. These fish are hard fighters and a lot of fun to catch. Fishing Trips are available in ½ day, ¾ day, and full day. 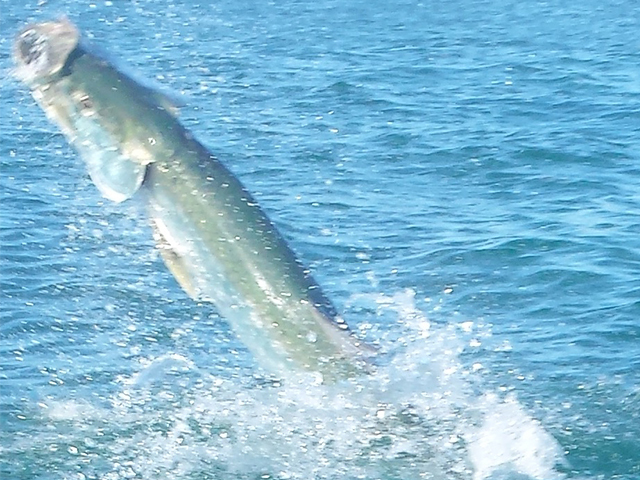 Our Tarpon fishing trips consist of mainly fishing the jetties and off the beach.On occasion, these fish can be caught in the river depending on water temp and bait. We use Penn Fathom 30 reels loaded with 500 yards of 80-pound Fins braid. Known as the silver king, these fish are very acrobatic when hooked and very exciting to catch. These trips are available in ½ day, ¾ day, and full day. Great for Families or Just Hanging Out with Buddies! Whether you are a group of buddies just out for a memorable trip, or a family with a love for fishing, we cater to you. We routinely charter experienced and beginners alike, business clients, corporations, celebrities, executives, professionals, groups, military personnel, and families. You can expect privacy, confidentiality and quality customer care with us. Our Charter’s also get to enjoy the sites when they charter with us! From the nature of the area to shore birds, eagles, pelicans, dolphins, manatee, sharks and even sea turtles are regulars with us. 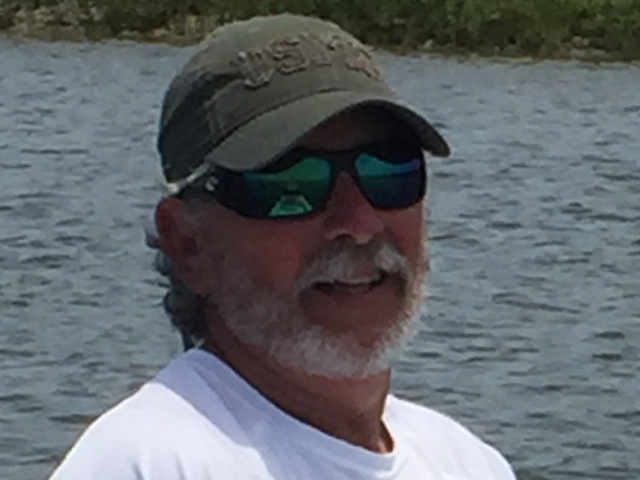 Captain Brian Soucy is a 22-year Marine Corps veteran with over 13 years as a Charter Boat Captain backwater fishing Amelia Island. He is also an experienced tournament fisherman. Fully Equipped New Model Boat! 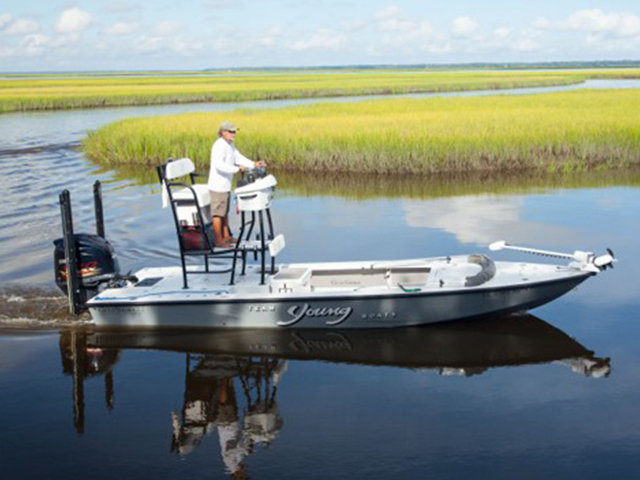 You’ll fish on a 2017 Young Gulf Shore 22 fully equipped with a Yamaha 250HP Sho 4-stroke and Lowrance electronics, a large Yeti cooler and a Bimini top for the hot summer months. You’ll Always Have A Fun Time! Captain Soucy works very hard to ensure his customers have a great experience. He also takes the time to teach and show folks about the tackle used, how to rig, and what to look for when fishing. My seven-year-old son and I went fishing with Captain Brian and we had a great time. Brian was very patient with my son (and with me). 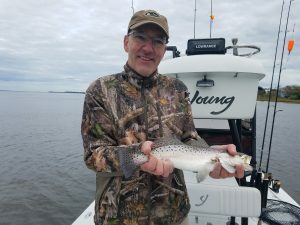 Within the first 15-20 minutes we caught three keeper trout and we continued to catch fish all day. Most importantly my son can’t wait to go fishing again. 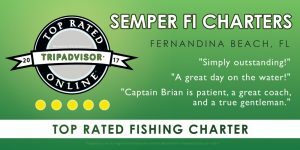 I recommend SemperFi to everyone. Captain Brain was absolutely wonderful with my son and made us both feel like we were out on the water with someone we had known for years. The fact that we caught 40 – 50 lb. reds didn’t hurt either. The trip ended with my son catching a 3 ft. shark and every penny was worth the smile on his face. We will be back next year and can’t wait to fish with Captain Brian again! Thank you so much for the awesome time! Capt Brian was an outstanding fishing guide and really took care of us. He was great with my nine-year old and we had blast. We also caught lots of fish and had a very enjoyable experience. He went above and beyond any other fishing charter that I have been on before. I would definitely recommend! Dana landed this beautiful 28 inch redfish. Released to battle another day. 10 yr old Coop holding this great 22 inch speckled trout. He has a certificate from Florida Memories coming. Amelia Island Inshore Fishing Charters Available Now!